DESTRUCTION - Announce 'Cyanide' lyric video! German legendary thrash metal icons DESTRUCTION just released the lyric video for their track 'Cyanide', taken from their upcoming masterpiece 'Spiritual Genocide'. Be assured: When DESTRUCTION sound the charge once again before the end of the year, no thrash metal disciple will be able to escape from the fanned inferno. No matter how fast you’ll run – the Mad Butcher will eventually get you all! 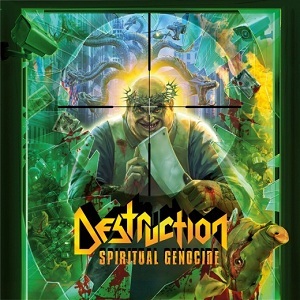 'Spiritual Genocide' is set to released November 26th, 2012 via Nuclear Blast.